This post will start off a 4-part recap of the Life You Want Tour. I will go over what I took away from each speaker. I hope that I do a good enough job that you too be able to understand how to have the Life You Want. 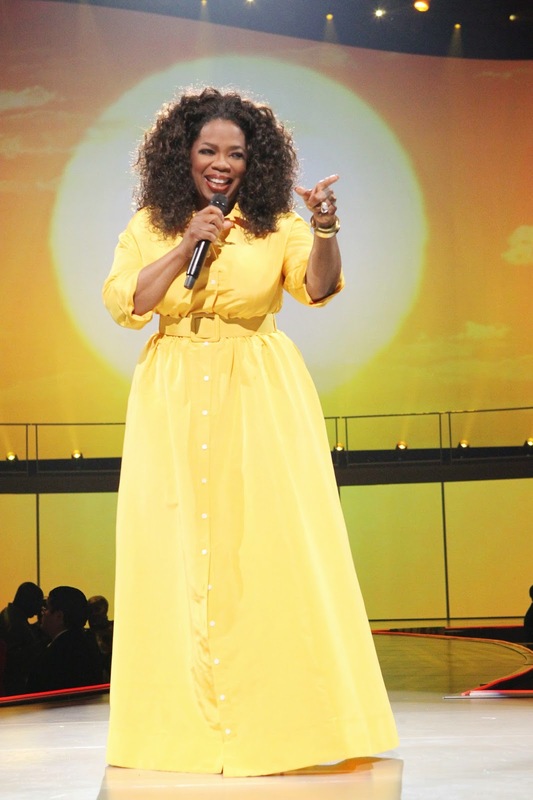 To begin with, being in the presence of Oprah for two days in a row was a feat on its OWN. (see what I did there?) But, secondly the way she and her guest speakers spoke life into your soul was honestly a privilege to enjoy. Oprah opened with a segmented on how our lives are connected by dots. She explained how our "dots" connect to make our life what it is today. One of her "dots" was when she was about still very little. Her grandmother, who was caring for her, was outside boiling clothes and hanging them. Oprah was standing on the doorway about to churn butter when her grandmother shouted back at her, "You better watch me real good because one day you will have to do the same." At that moment, Oprah thought in her head, "No I am not." She said it was even then that she understood she was going to do something greater. As she got older, she said she would get complimented on how well she spoke publicly or how well she read. All the way until she was 16 years old, getting a spot at a local radio station which eventually lead her way into a news anchor. All of those moments would make up her dots that connected to her where she is today. This section focused on how our lives are designed by the decisions we make and the way choose to think about those decisions. The way we speak to and about ourselves WILL shape our overall outlook. The whole focus of this part was that "everything you've been through will help you get through." Her whole life had prepared her to use her gifts to share her voice. She goes on to say that God (whomever you choose to say is God) puts certain gifts and situations in front of us to help guide our understandings. But the way we speak to ourselves will also help manifest those thoughts and ideas into life. Her example here was when she was reading the Color Purple. She loved the book so much she bought copies and handed them out to everyone she knew. She so badly wanted to be in the movie but had lost hope on getting the part. But her attempts to speak it into existences say it manifest. This lesson actually asked the audience to thing about someone they truly love and the clearly envision a life for them. What kind of car would they drive? What kind of house would they have? How many kids? Job? Friends? Where would they be? In understanding, it was what you would be willing to give that person if we could. What dreams of theirs would you want to see fulfilled and would be able to be truly happy to see them achieve. This is to help us understand the power of giving and also how to want for others. This lesson is powerful, it really tests your willing to give. But also shows how easy it is to want to see someone you love happy. To piggy back off of her earlier example, she said she finally had to come to terms with the possibility that the other actor was going to get the part and to allow herself to be happy for her and blessings before she was able to find out that she indeed had gotten the part. Creating a new vision and capturing it. In order to achieve The Life You Want, you must be able to clearly envision it. Down to the last inch in a sense. You can easily say you "want to be successful", but if your vision is vague, how will you ever know you have reached success? This is where the earlier lesson came in. Our vision for our loved one, was in reality something we would want for ourselves too, which is why we could see it so vividly. She helped us understand that we cannot have something for ourself if we are at first not willing to see someone else with it. That we must first be willing to give before we receive. Stay tuned for the next three posts that will cover Rob Bell, Deepak Chopra, and Elizabeth Gilbert!